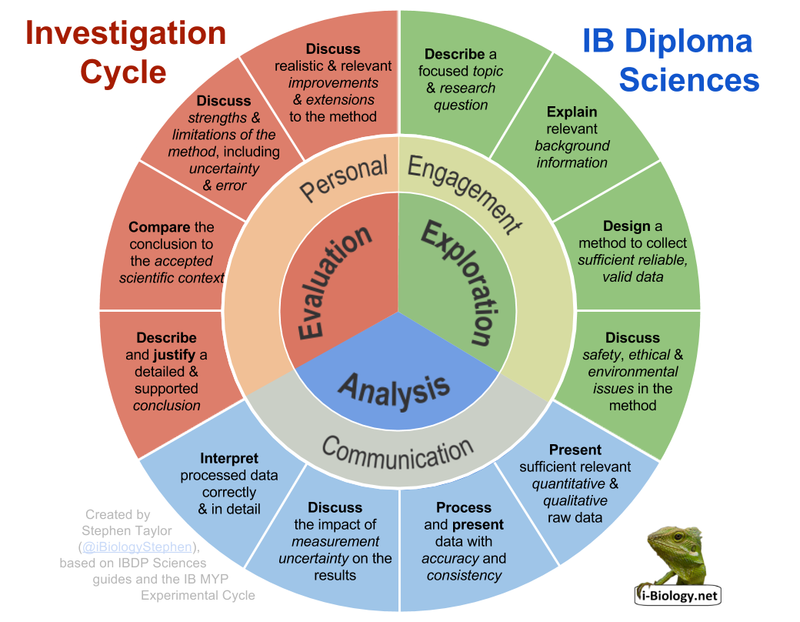 This is an attempt to capture the internal assessment descriptors (for the new guide) in a format similar to the MYP’s Experimental Cycle and Design Cycle diagrams. Click here to download a higher-quality .svg file for poster printing. Posted on August 24, 2014, in i-Biology, IBDP Biology, Lab Work & Internal Assessment. Bookmark the permalink. Leave a comment.